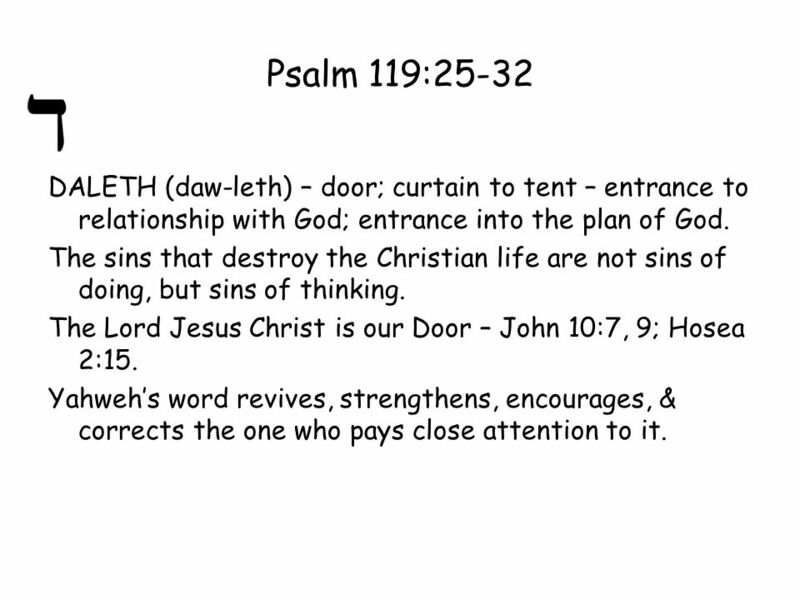 DALETH (daw-leth) – door; curtain to tent – entrance to relationship with God; entrance into the plan of God. The sins that destroy the Christian life are not sins of doing, but sins of thinking. The Lord Jesus Christ is our Door – John 10:7, 9; Hosea 2:15. Yahweh’s word revives, strengthens, encourages, & corrects the one who pays close attention to it.